What Is an Learning Objective? Learning objectives are statements that describe what a learner is expected to be able to do when they have completed some learning. That learning might comprise completing a course, watching a video or doing an activity of some kind. Indeed anything that teaches the learner a particular topic. A learning objective has three essential parts. Dr Benjamin Bloom, an educational psychologist, developed these parts of learning objectives. It’s these we use as a starting point when writing objectives for our learners. Is a system to define different levels of human cognition. Gives a list of active verbs to use for learning objectives. As you can see from the image below, there are six levels of learning objectives. Each level has a list of active verbs. These verbs help us to decide what the learning needs to teach learners. Then we write learning objectives around each active verb. At level 1 you might want to give learners some basic knowledge. Here the overall learning goal is to recall important information. At level 3, you can see then that the objective is to solve close ended problems. The active verbs suggested support each level of learning. Name the eight ingredients needed to make a chicken curry and their role in the curry. My active verb is ‘Name’. This a level 1 objective from the taxonomy of objectives. During the course, I’ll want to cover what each spice gives the curry in terms of flavour. Therefore, the context of the learning is ‘the role of those ingredients’. For example, turmeric spice gives an Indian curry that lovely golden yellow colour (and it’s also known for its antibacterial, healing properties). Chilli gives a curry spiced heat. Explain the seven-step method to make an Indian curry. I can only cover this objective after the teaching of the first one. So this part of the course will take learners to the next level of learning in the taxonomy. The aim of the taxonomy is to take learners through at least a few levels of learning a topic, if not all of them. In the above example, you can see I’ve already got two levels of objectives for my curry making course. When writing learning objective there are two things to avoid. Avoid verbs such as: understand, appreciate and grasp. These verbs are difficult, if not impossible, to measure so won’t give you a meaningful, measureable objective. To understand a thing, you often have to do something else. And that’s where the active verb of the learning objective comes in. Appreciate is a subjective word. The way I appreciate art, for example, will be different to how you appreciate art. You can’t measure it. Which is why it doesn’t make a good objective. 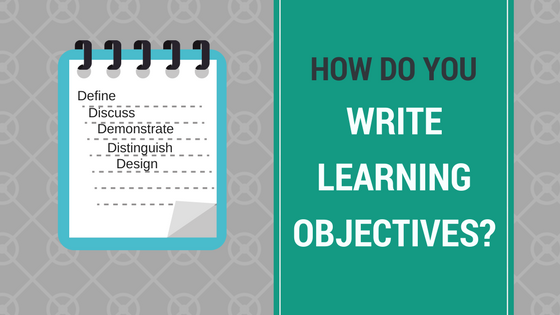 So there you have it – a brief overview on how to write learning objectives. 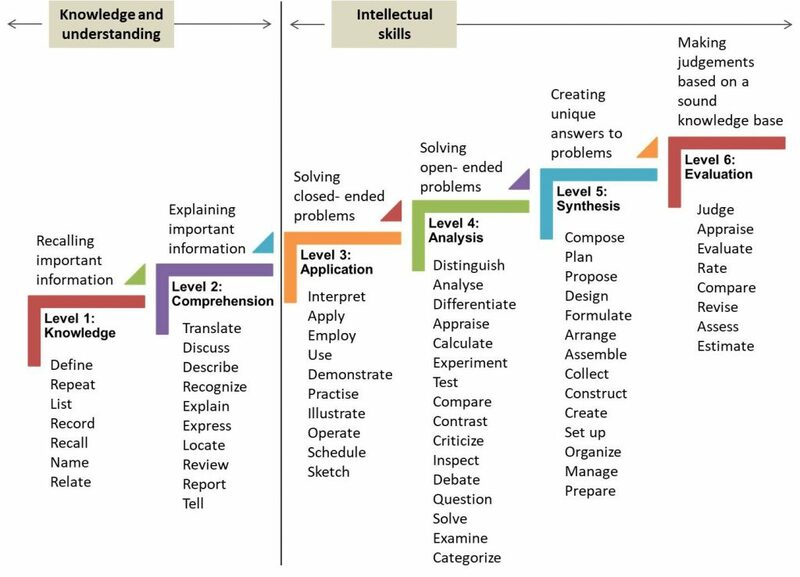 Bloom’s taxonomy is an essential tool for every course designer – whether it’s a classroom based course or online. Written well, learning objectives give us clarity on what the course needs to teach and why. That clarity is then carried through to our design of learning courses and resources. Even now, after seventeen years of creating online courses, we don’t start a project without ensuring we have learning objectives in place. If we’re not given learning objectives by our clients, we write them. If you Liked this article, give it a Share on your favourite social media platform. 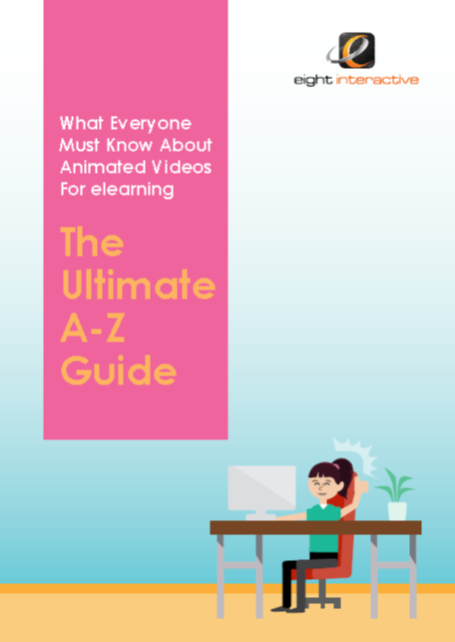 Are you planning to create online courses? Book a FREE call to discuss any ideas. We’ll be delighted to help you.